The Career Center offers counseling to students and alumni to help them identify which talents, interests and values will help them make educated career choices. Workshops and presentations on relevant topics (job search strategies, resume and cover letter writing, interview techniques, career expectations) strengthen student and alumni skills to better respond to employers' demands. Implementing multimedia and Internet resources, the AUBG Career Center provides consistent information about graduate and postgraduate academic programs, funding sources, job openings, internship opportunities and company profiles. The labor market moves fast, and AUBG graduates already have a reputation for quick thinking and innovation. We help reinforce this by providing them with the most up-to-date information and resources for the labor market and employment trends. This builds on the real-world interactive learning style of academic study to make sure AUBG graduates are always in demand. AUBG students often receive job offers before they graduate. Our proactive program of Annual Job and Graduate School Fairs help AUBG students and alumni to meet prospective employers. The events make it easy for companies to find talent while presenting students and alumni with outstanding opportunities for internship, summer or full-time employment. Our fairs are unique in that they allow for person-to-person inquiries. Career Center also produces the annual Resume Book of the Graduating Class, an important source in the recruitment activities of many international companies operating in the region. Career Center offers a set of services to students and alumni to ensure that they and their prospective employers can easily access resume and credential files. This greatly adds to the smoothness and increases the effectiveness and flexibility of the application process. The office also maintains a specialized library for students and alumni to prepare and practice GMAT, GRE, LSAT and TOEFL admission CAT format tests, and provides for test registration through the Career Center. 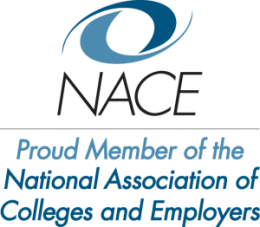 AUBG Career Center is a member of the American national association of universities and employers. The Career Center provides an array of programs and comprehensive services in the areas of career exploration and development, as well as graduate school preparation and application. The overall purpose of the center is to educate students and alumni about the career decision-making process; provide current information and resources on the labor market and employment trends; assist students with job preparation and readiness; and prepare them for the transition to the real-life world of work.